A couple of weeks ago, I received an email from a Best Food Blog Ever reader who was interested in building a cookbook collection, and was soliciting my recommendations on the best titles to pick up. It seemed like a simple question, but before I realized it, my reply had already reached four paragraphs and a deeper level of analysis than I ever would have deemed appropriate for the query. Though I never have given much thought to the subject, it turns out that I actually do have a process – a method to my madness – and I’m sharing it with you today. I’ve written about my cookbooks before, but never really discussed my library in detail. As I would imagine is the case with any media archive, whether it’s books, music, or a certain movie genre, there are a handful of titles that serve to establish the foundation of your library. These are your “desert island” titles, the books that you know, for certain, contain the core recipes that enable you to whip up almost any appetizer, side dish, main course, or dessert that you can envision. Your library doesn’t need more than one or two foundation titles, as you’ll find that the ingredients and techniques for a basic recipe of, say, hummus, are not going to vary much – if you’re aiming for a traditional interpretation of hummus, that is. Think of the recipes in your foundation titles as starting points that you can riff off of to come up with your own style. My foundation titles are The Best Recipe, which I cherish because of their scientific approach to finding the optimal ingredients and methods for each dish, and The Joy of Cooking, which is encyclopedic in its scope, especially since they’ve recently updated with a new edition. I may not completely agree with the preparation for a specific dish in The Joy of Cooking, but I know to a certainty that I am holding a baseline recipe in my hands. After you’ve settled on your foundation titles, you want to begin exploring method-specific cookbooks, which I refer to as “Technique” titles. 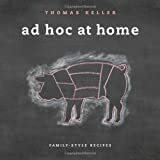 Technique titles delve deeply into a specific topic like roasting, pressure cooking, slow cooking, baking, braising, or any other method that’s used in the kitchen. By using these books, you’ll learn to identify the best methods of preparing something that you come across at the market – a nice piece of fish, a good cut of beef – and you’ll also prevent your repertoire from becoming boring. Face it, there are not a lot of protein options in your local supermarket; it’s either chicken, pork, beef, or fish of some sort, and not all of those alternatives will be available on a given day. If all you knew how to do was roast things in the oven, you and everyone that you cook for would quickly grow weary of roasted chicken, roast beef, roast pork, and roast fish. Being able to prepare a single type of meat using several methods opens up choices, and it also makes for space economy when you’ve got other things going on in the kitchen. If the oven is busy with a casserole or other side dish, for example, it becomes essential to know a few recipes that don’t need to use the oven. I try to pick up as few Technique titles as possible, although sometimes new titles hit the shelves that represent a new “best” guide. Some of my Technique titles include Roasting – A Simple Art, The Gourmet Slow Cooker, The Pressure Cooker Gourmet, and Splendid Soups. I also tend to favor the Williams Sonoma Essentials series. The last tier of cookbook titles that should be in your collection are ethnic classics, and this is where you need to be the most selective. It’s important to note that when I say “ethnic” I am also referring to regional American cuisines, as well – southern cooking, Tex-Mex, and New England recipes come to mind. There are many, many ethnic cookbooks on the market, and they all vary in their degree of authenticity. Ideally, you will want to choose titles that truly convey a sense of a particular culture, beyond just the recipes of that culture’s cuisine. Peruse the bargain bin of any chain bookstore and you’ll find dozens of Quick and Easy-type of cookbooks that promise to make you the next Martin Yan, Mario Batali, or Madhur Jaffrey. But, if you really think about it, if you really wanted to cook like these chefs, you would just buy their own cookbooks. Don’t shy away from an ethnic recipe because it contains ingredients that you haven’t heard of, or are otherwise hard to find. Many times, an unfamiliar ingredient is the first step on a journey of discovery that will take you to ethnic markets and parts of the city that you would otherwise never know about. As a last resort, there are sometimes substitutions that you can make (orange and lime juice for bitter oranges in Cuban cuisine comes to mind) that will enable you to experience the recipe in as near-completeness as possible. Some of my most well-worn books for ethnic cuisine are The Breath of a Wok and The Wisdom of the Chinese Kitchen, A Taste of Old Cuba, and Lidia’s Family Table. By flipping through any one of these titles, you’ll see that the authors go to great lengths to educate the reader on their own experiences growing up as part of that culture, and it makes you appreciate the dishes even more when you know a little more about them. I love talking about this stuff, as you can tell. If you have any questions, shoot them my way at ddl[at]bestfoodblogever.com.